If you came to this page to see a bunch of fish pictures of what we caught during our trip to Rice Lake…we’re sorry to let you down! We didn’t catch ANYTHING during our entire day on the water! 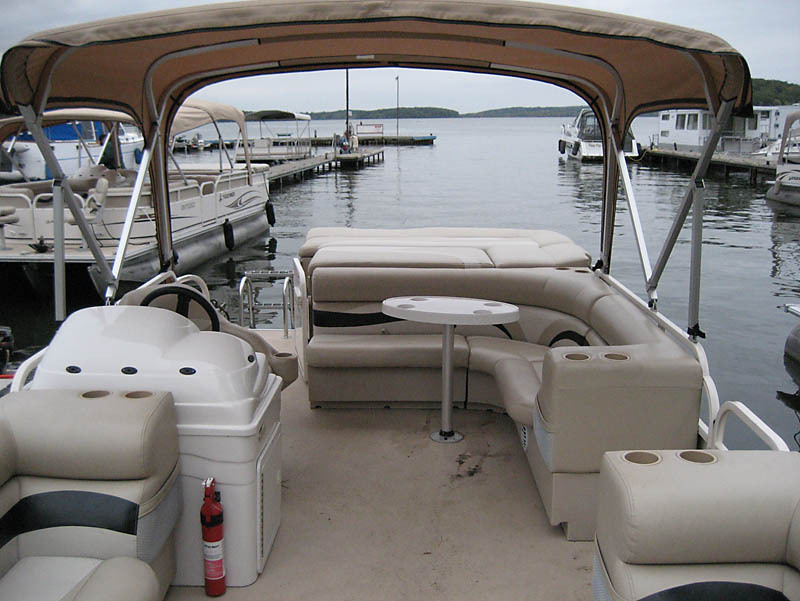 Instead, we decided to post some pictures to show you our luxurious boat that we used while on the Lake. 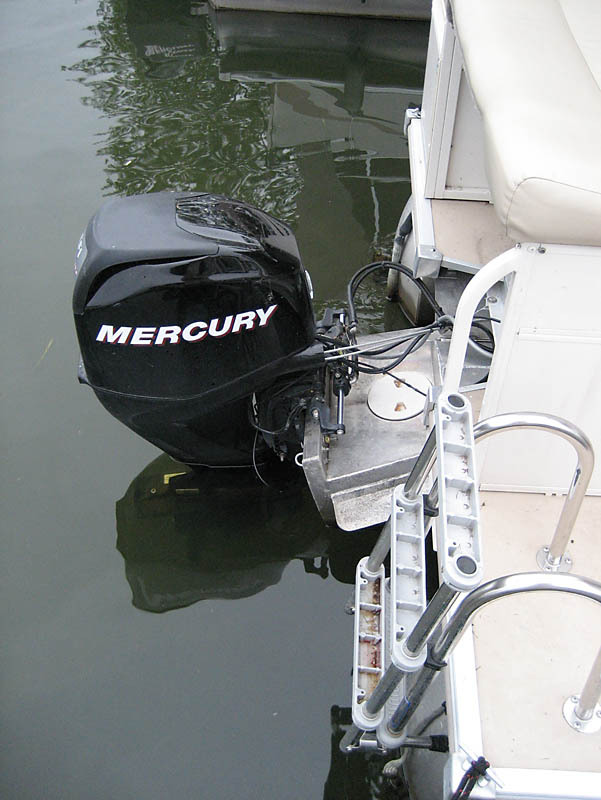 At least we got skunked in style, with a 28 foot Bayliner pontoon boat with a 60hp Mercury outboard engine! This was truly one of our worst days fishing either of us can recall. 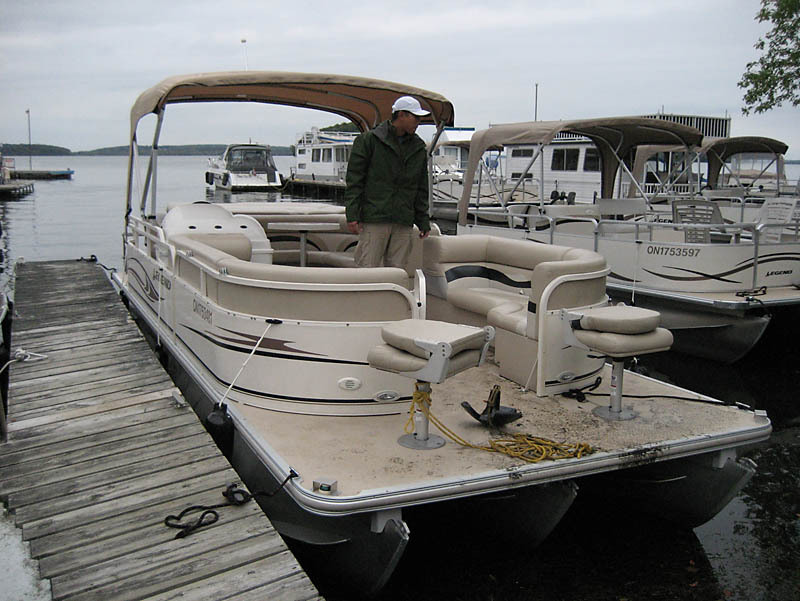 We were really hoping to get some good bass to wrap up the 2009 season but instead we got nothing but a bunch of cold weather and rain…we went everywhere (within reason), tried everything, but it wasn’t enough. The only thing we caught was an old anchor! Not a bad instrument panel! This was the first outing where we had the ability to listen to music! 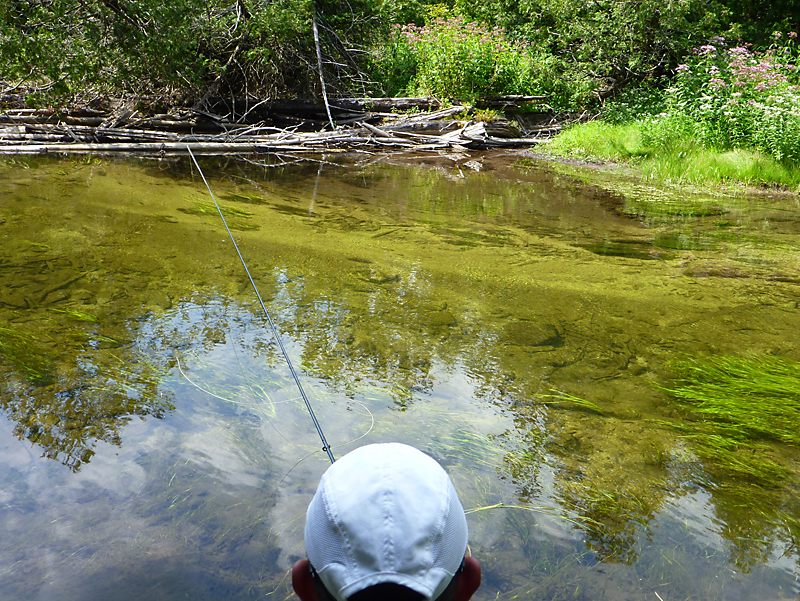 Good thing because it helped to pass the time when we WEREN’T catching fish! Definitely had enough seating for the two of us…plus 8!!! Overall, it was a pretty disappointing day on the water but hey, that’s just how it goes sometimes! 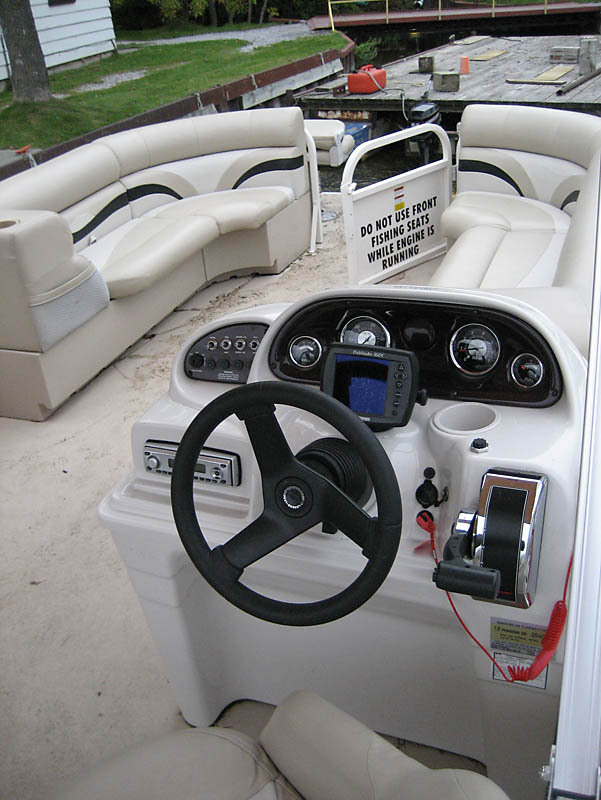 It was neat to fish on such a nice boat but we must admit that it was slightly overkill for just the two of us ;-). If we decide to go back to Rice Lake, hopefully we’ll catch something to make up for this day! FAC Yeah!